A limited liability company (in Russian OOO) is a legal entity with its share capital divided into shares; participants do not, as a rule, bear personal responsibility for the company’s liabilities but take on the risk of possible loss up to the value of their equity shares. The minimum share capital is RUB 10,000. The share capital must be paid within 4 months of the company state registration. Payment for equity shares can be made in the form of money or property. A company can be set up by one or several participants. The maximum number of participants is 50. Although registration is not a lengthy process, there are certain issues to be settled for a successful result. We will discuss some of them here. 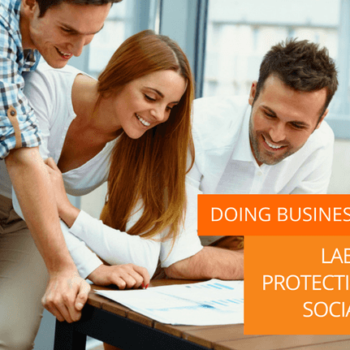 Not sure if LLC is the best structure for you Russian business? An LLC must have a full name in Russian, which starts with the words “Limited Liability Company” (in Russian Obshestvo s ogranichennoi otvetstvennost’yu). Additionally, an LLC may also have a full name in other language, for example, in English. If needed, there can be a short name in Russian or English as well. For registration an LLC has to have an address where its CEO is located, own property or leased premises. It is rather important to predetermine what kind of entrepreneurial activity the LLC will be engaged in according to the “Russian Classifier of Types of Economic Activities” (OKVED in Russian). This shall be indicated in the registration application as a code. The first recorded code is considered to be the principal activity category. This data can be changed at any time by entering the change in the Common Public Register of Legal Entities. The most important stage in establishing a legal entity is drawing up the only constitutive document, which is a Charter of the company. A competently drafted Charter allows the reduction of risks of arguments among the shareholders and provides protection of their rights. According to Russian legislation, the Charter must contain the name of the LLC, a legal address, information about incorporated management bodies, their authority and decision-making procedure, information about withdrawing from the LLC and its consequences, rules of transfer of shares to third parties and other information which is contemplated by the Russian Law on Limited Liability Companies. If several participants are establishing a company, they must conclude an agreement on its establishment in which they settle the administrative procedures of setting up the company, formation of the share capital and nominal value of each participant’s equity shares, and the way and terms of paying the equity shares. The next step in an LLC’s creation is making a decision about its establishment, which is issued as a Resolution of the sole founder or Protocol of the General Meeting of founders. The Resolution (Protocol) must contain the voting results and decisions which are made concerning the company’s establishment, approval of the Charter and of the management body (e.g., for General Director). A decision of a sole founder must also have information on share capital, and the ways and terms of its payment. Before applying for a registration, the possible taxing system should be considered. It is possible to apply for the Simplified System of taxation during 30 days after the primary registration. Extract from the register of foreign legal entities of the country of origin of the founder is a foreign legal entity. Despite the official fixed list of documents, the registering authority can request additional documents such as an Agreement on establishment and a document which confirms the company’s address (letter from the landlord guaranteeing that the lease agreement will be concluded with the LLC once the registration is completed). If the share capital is paid by property, an act of transfer and acceptance and a valuation act are required. If a participant is a foreign legal entity, it must attach an extract from the trade register of the country of origin with an apostille and translation into Russian. It is possible to submit documents personally, through a representative, send by post with declared value or by email. Considering an application takes five working days, whereupon the company obtains a Registration certificate and Tax Identification Number (INN in Russian). After the registration, it is usually necessary to apply to the statistical body for notification of the assignment of Russian classification codes to the company, and to extra-budgetary funds to obtain a notice of registration of the company with funds. However, in some regions the Federal Tax Office can issue the notice of registration of the company with funds, if it operates under the “single window system”. It should be taken into consideration that every case of a company’s establishment is unique and requires an individual approach that seeks appropriate solutions. Documents drafted or filled out inaccurately or filed improperly can lead to extra expenses for changing entries to the State register or even become a reason for rejection of registration. The State fee payment is not refundable. 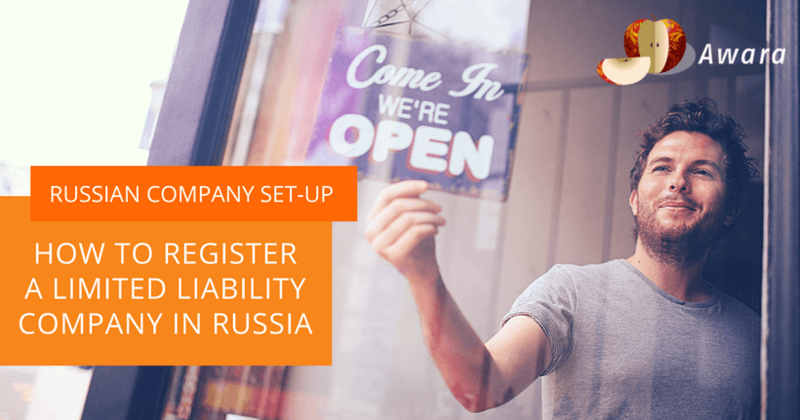 If you plan to set up a branch or a company and want to register a branch or a LLC (OOO) company in Russia, contact Awara for full service assistance with the set-up. We will also be happy to advise on the optimal choice of organizational and legal form for your Russian business.